Electroplated metal with soldered, lead inserts. With this piece David Clarke has moved away from the comfortable elegance of his previous works, creating a startling juxtaposition of the old and new. Clarke uses a 19th-century teapot as the basis for this composition. The teapot is sawn in half, the pieces joined together with lead inserts to create another functional object: a vase. 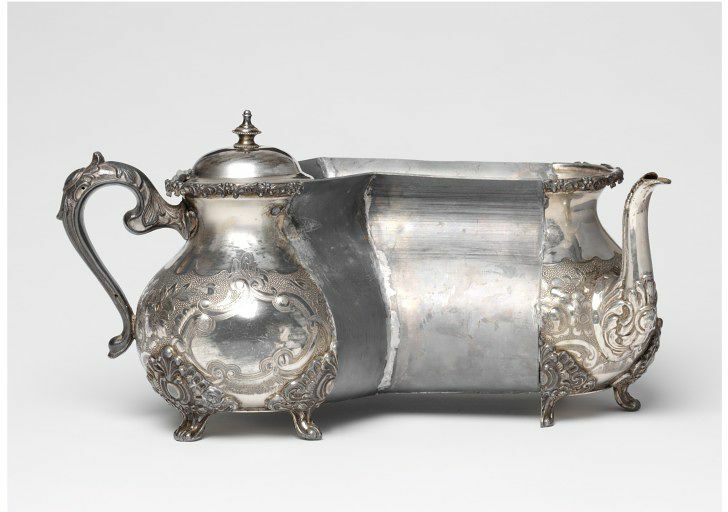 The title, literally meaning a commotion or uproar, could refer to the treatment of the teapot, as well as being a play on words, referring to the former function of the pot, to brew tea. 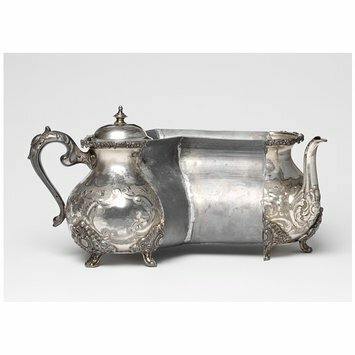 Electroplated Britannia metal teapot, Rococo revival, ca.1850-1900 decorated with foliage, hoop handle resting on four cast feet, sawn in half and extended by lead inserts following the shape of the original vessel which have been added to the central section to create an L-shaped vase. The original domed lid, surmounted by a knop, retained and hinged to the body at one end. Bought from Gallerie SO at the Collect Art Fair held at the V&A, 2007. 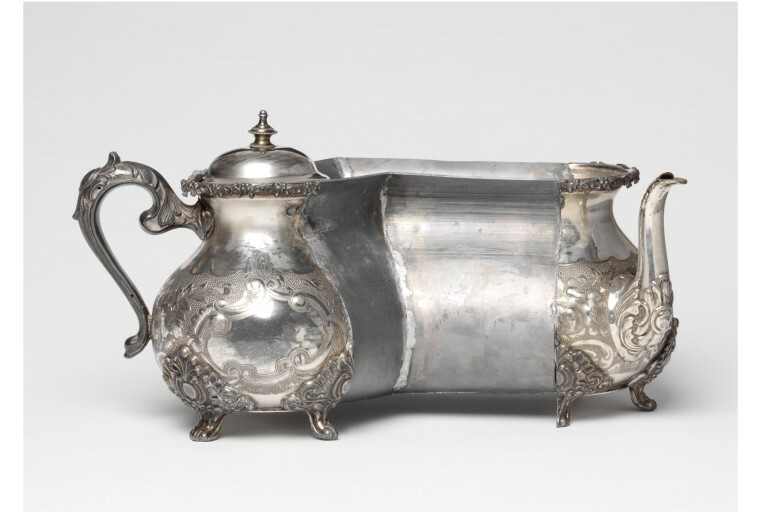 This was given to the V&A as one of the winners of the Sotheby's Award for that year, chosen by Janice Blackburn, a freelance curator of contemporary craft.